The Sky Below is a photograph by Ricky Rayburn which was uploaded on January 14th, 2010. This was taken in the Okefenokee swamp. 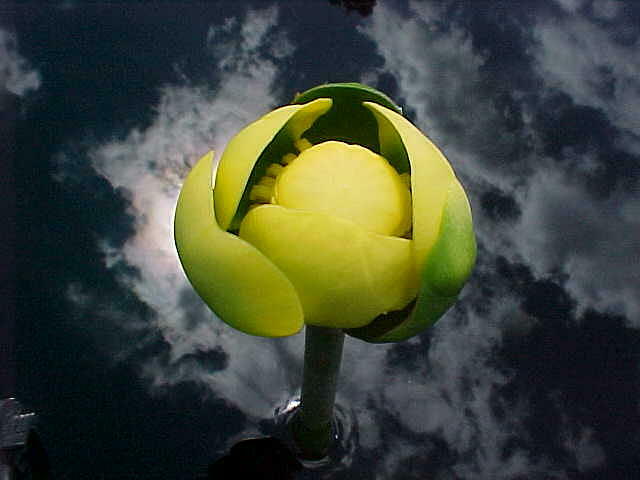 The lily seeks to rise above the black water while the water reveals nothing of its inner most inhabitants. It seeks to confuse the eye. Does the lily grow down from the sky? The reflected clouds make this very serene and somewhat otherworldly..... there is definitely something really special about your work.